Enrol in the magical world of Harry Potter with this enamel badge, officially licensed merchandise from Warner Bros. It is a brilliant fashion accessory for any budding student, superfan, or junior wizard! The pin badge is made from a hardened enamel material, allowing it to withstand daily life whilst also adding a glistening shimmer when it is caught in the light. Backed with a small safety pin and a clasp, this piece can easily be attached to a jumper, coat, bag, or thick scarf. 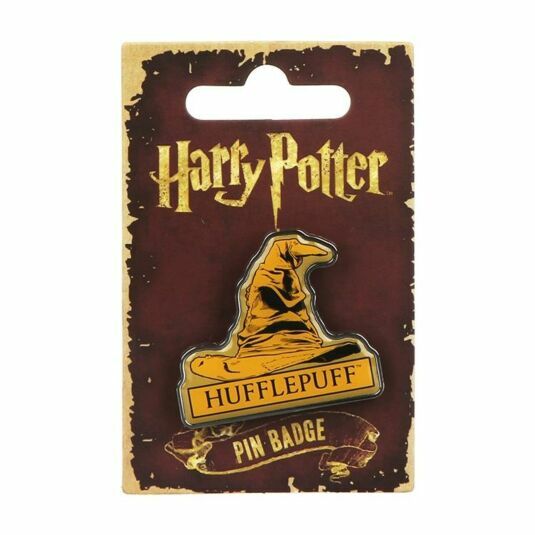 The design of the badge focuses on the magical sorting hat and the Hogwarts house of Hufflepuff. Hufflepuff is filled with such genuine and friendly characters that it is hard not to want to celebrate their legacy. The badge is shaped like the hat, complete with grumpy frown and downturned mouth, and it is also coloured in the bright yellow of Hufflepuff. Below the hat, the word ‘Hufflepuff’ sits proudly, so that no-one will doubt where your affiliations lie. 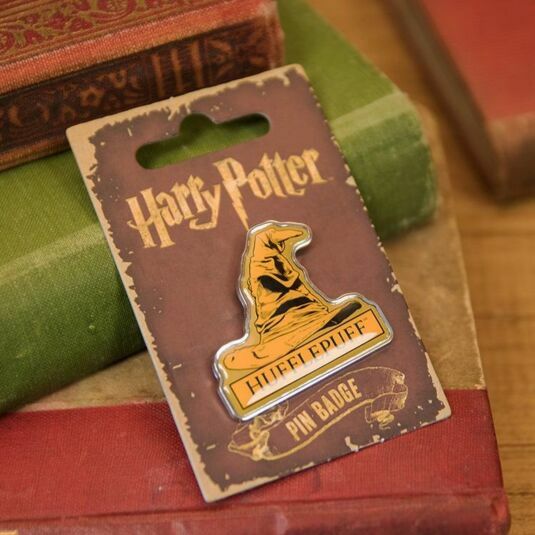 This Harry Potter pin badge makes the perfect magical gift for any fan of the films and book. Perfect for birthdays and as Christmas stocking fillers.